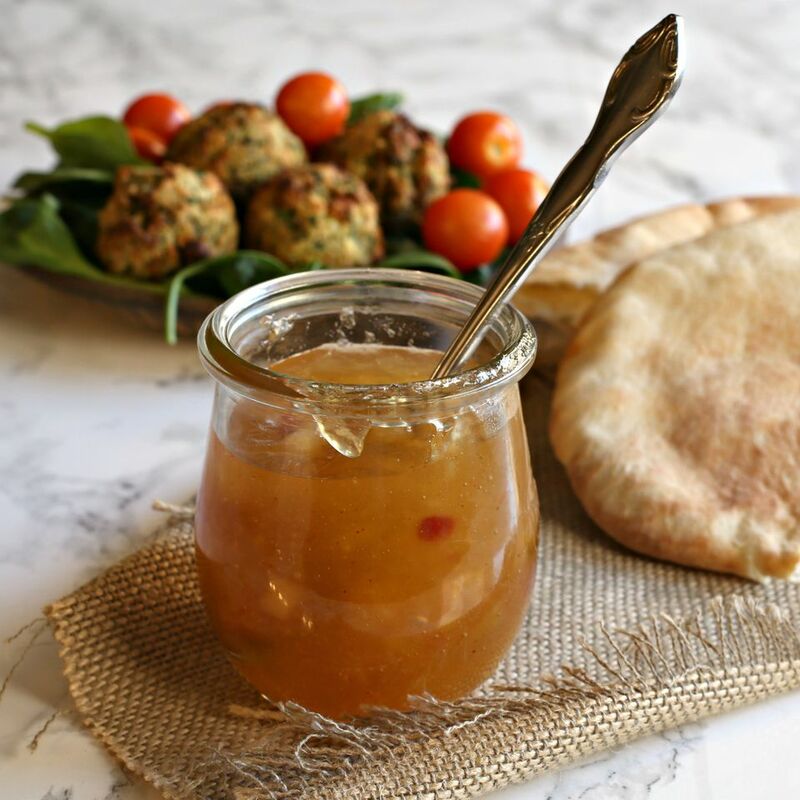 Amba is a popular Middle Eastern pickled mango condiment that's particularly common in Iraq, Saudi Arabia and Israel. It's similar to an Indian mango chutney. In Iraqi cuisine, amba is often served over seafood, on kababs and eggs. In Saudi Arabian cuisine it's frequently served on an appetizer platter with bread, cheese, eggs and various meats. Amba is commonly served as a topping in Israeli cuisine, usually for falafel, shawarma and the very popular sabich sandwich. Right up there in popularity with falafel sandwiches, sabich includes fried eggplant and hard boiled eggs stuffed into a pita pocket along with Israeli salad of diced cucumbers and tomatoes, hummus, tahini and a good amount of amba drizzled over the top. That combination of ingredients may sound a bit strange if you've never tried it, but it's actually a remarkable flavor match up and the sweet, sour and spicy mango sauce ties it all together. If a more traditional American sandwich is your preference, try the amba over a sliced turkey deli sandwich. Traditional spices for amba are mustard seeds, cumin, sumac (which has a distinct lemon flavor) and fenugreek, with its slightly bitter flavor and sweet smell. Brown sugar balances the heat from chili peppers and cayenne for the right amount of sweet and spicy. Note that traditional amba sauce recipes usually call for unripened green mangoes that you should then ripen in the sun for several days. This recipe is a more practical shortcut using ripe fresh or canned unsweetened mangoes. Heat the canola oil in a large pan over medium-low heat. Add the mustard seeds and, when they sputter, turn the heat to low and add the diced chili pepper. Cook for another minute. Peel, pit and dice the mangoes and add to the pan along with the lemon juice. Add the brown sugar and water, in 1/4 cup increments, and stir until the sugar has dissolved. Continue cook and stirring until all the mango chunks are tender. Continue adding water as needed. Stir in the ground cumin, fenugreek, ground sumac, cayenne pepper and salt. Taste for seasoning and adjust the salt to your liking. Remove from heat and allow to cool. Pour into a lidded jar or container and refrigerate. Allow to sit in the refrigerator at least overnight to develop the flavors and then use as a condiment as desired.